Wharfies in Sydney and Brisbane walked off the job for 24 hours on Friday (05/04) to protest Hutchison Ports ongoing refusal to move away from outsourcing of jobs and overseas remote controlling of already semi-automated equipment. “Outsourcing our jobs for greater profit and remote controlling to workers who may be paid $2 per hour will continue to be challenged by the workforce and their union,” Maritime Union of Australia assistant national secretary Warren Smith said. 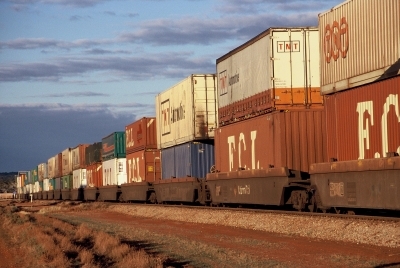 The union has had several instances and clear cases of harassment identified in its Brisbane operation, drawing scathing criticism from the Queensland Branch. The situation in Sydney has seen the constant and vigilant action of the MUA Sydney Branch save lives in an environment where safety is not treated with the priority it should be by Hutchison Ports. MUA Sydney branch secretary Paul McAleer said: “Hutchison’s notorious anti-union agenda around the world is attempting to sink the wages and conditions, job security, and health and safety of wharfies in Sydney and Brisbane. “Their plan to be the budget airways of Australian stevedores seeks to undermine decades of work to create jobs with justice and dignity, all so they can return more profits to one of the richest men on earth. Mr Smith blamed Hutchison management for forcing the hand of workers. “Hutchison has not picked up the phone once to try and schedule meetings despite us having tried to do so,” he said. “They tell blatant anti-union lies to their workforce to foster division and discontent.